I don’t know what’s in the water, but the last several weeks have been CRAZY. I try not to overuse the word, but busy is really the only way to describe it. I feel so fortunate to be able to travel as much as I do, but it can be really challenging to stay on top of work and get everything done at home before, after, and in between trips. Never enough hours in the day! 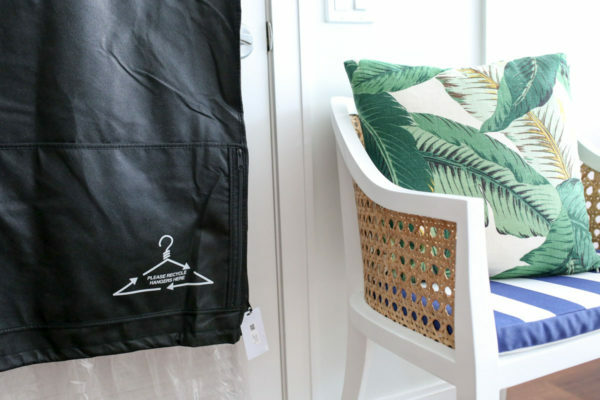 With seemingly endless to-do lists for my business and trying to manage to keep up with my friends, family, and personal life, I’m all about out-sourcing where I can. And that’s a lesson I learned the hard way! When I moved to New York City back in 2012, I used to dedicate my Sunday every few weeks to doing laundry. 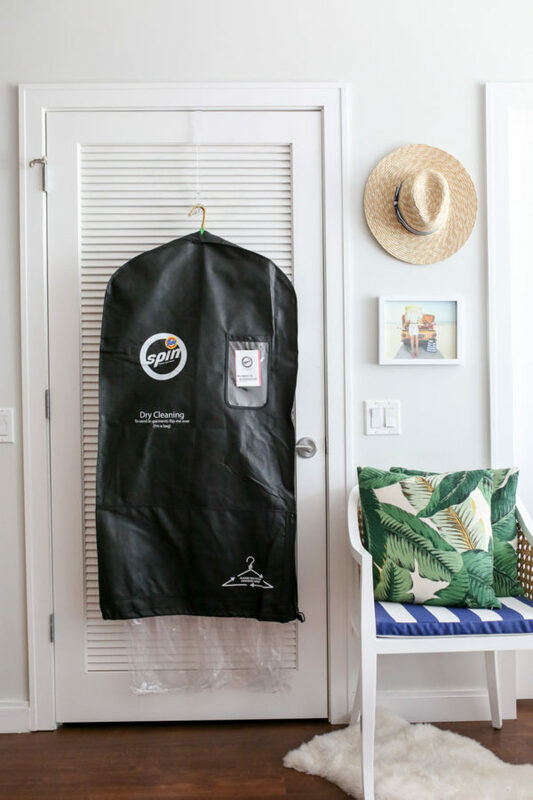 I’d heave my giant bag, detergents, and fabric softeners down the five flights of stairs and down the street to the laundry mat and sit there for a few hours trying to get blog work done over their spotty internet (when it was even working). After a month or two, I realized ain’t nobody got time for that. I felt so guilty giving in and sending my laundry out, but literally everyone does wash & fold in New York… If you can’t beat ‘em, join ‘em. When I moved to Chicago, I knew a washer/dryer was a necessity on my amenities list when I was looking for apartments. It was obviously such a little luxury sending my laundry out, but I longed to just do it on my own again. Deliveries were always such a pain to coordinate, but it was even bigger pain to go pick up the 25lb bag and drag it home before/after work. And while I had a mostly good experience with the different cleaners, there were definitely a few lost items, ruined fabrics, etc. over the years. Fast-forward one year in Chicago… The grass really is always greener, isn’t it? While I loved being able to toss things in the machine, I can’t tell you how many times I’ve forgotten about my laundry in the washer and had to re-wash it. Or accidentally left it in the dryer for a week at a time. Or have gotten the load into a laundry basket with every intention of folding it, but get sidetracked and let everything sit there and wrinkle for days on end. (And then having to have an hour-long steam sesh…) Even just writing this out now, it’s easy to feel like a little bit of a failure when it comes to keeping up with everything around the house! (And I’m just one person… Can’t imagine how all of you moms feel!) We want to do it all, but there really isn’t enough time in the day. It’s all about balance, and personally, I’d rather spend my time growing my business, squeezing in a workout, or even grabbing a coffee with a girlfriend. This is where Tide Spin comes in handy! Time is money, after all. Just as we hire professionals for the rest of the things we don’t have time for on our ever-growing to-do lists (task rabbits to build furniture, movers to do the heavy lifting, etc. ), laundry really is no different. 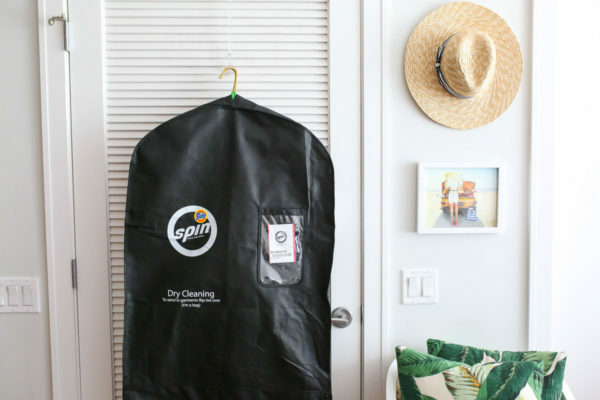 Tide Spin is an on-demand laundry service in Chicago that handles laundry and dry cleaning for you, and it’s pretty great! Super convenient pick-up and drop-off choices and peace of mind knowing your items are being handled gently and cleaned with the same Tide product you have in your home. Depending on your schedule, you can choose a regular 9am-5pm pick-up or opt for the new door-to-door service, where you can choose 2-hour evening windows for both pick-up and delivery that work with your busy schedule. On the household front, I’ve been on a bit of a spring cleaning bender when I’ve been home over the last month or two and have been trying to tackle a project at a time around my apartment. I sent out a huge order of dry cleaning (lots of winter clothing and coats before I put them away for the next few months) and all of my bedding too! I’m pretty strict about washing my sheets, pillowcases, and duvet cover every week, but I always forget about my mattress pad, duvet insert, throw blankets, and throw pillow covers. Especially now that allergy season is here in full swing, this is essential! Most of these items are too bulky or delicate to wash in my machine (I desperately wish I had a front-loader… Also, you know you’re getting old when you long for a certain type of household appliance, wow. ), but it was super easy to send them out with Tide Spin! I couldn’t have been happier with my first few orders, both with the wash & fold, dry cleaning, and bedding items, too! 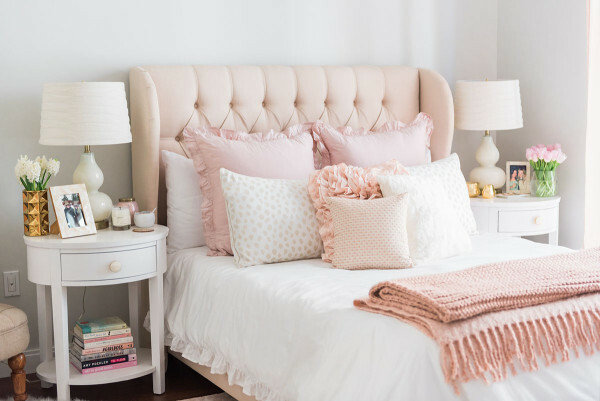 For any questions about bedroom decor, see my full bedroom tour here! How are you spring-cleaning this time of year? Would love any tips or advice you use for finding the time and outsourcing, too! Tide Spin | Use code STUR454 for $25 in laundry credits! Thanks for the tips! I will definitely be watching your bedroom tour! I give you props for going to the laundromat, I never even attempted! I’ve been sending out ever since I moved to the city. I want to be able to do my own laundry SO BAD. Just being able to do a load of bleach or instantly wash your sheets when you’re in the mood. I want it bad!! Sounds like a dream LOL. One day!! !